Peter Phippen is a Grammy Award nominee and four time Native American Music Awards nominee. David Roll has been in the music business for at least three decades. The two have collaborated together for more than thirty five years, each with a style that melds together to craft albums full of improvisational techniques that stand out from the crowd. Unearthed is the newest release from this dynamic duo and it has been decidedly worth the wait. Instruments included in this production are: Butch Hall Native American style flute, synthesizer, antique bamboo alto flute, antique Haitian flute, electric grand piano, Butch Hall Native American style bass flute, Early Showa period 1.7 Japanese Shakuhachi, Ken LaCosse 2.4 shakuhachi flute, Olwell bamboo flutes, Chilean clay ocarina and the Ellis fusion bansuri. Soulful harmonies greet the listener as the opening piece “Lubbock Lullaby” awakens. 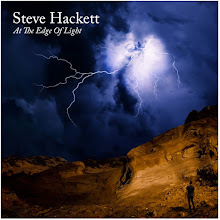 The peaceful sway of a synthesizer combined with the majesty of the Butch Hall Native American style flute takes you down from the rigors of the day. It brings to mind the silent and grassy plains of Texas where solitude reaches the human spirit and lifts it toward introspection. “Cedar Song” is another visit from our friend the Butch Hall Native American style flute. Airy and cavernous, this simple swaying piece is a lone man playing on the edge of a cliff, singing out his humanity to the world and letting the wisps of music be carried away on the breath of the wind. The memory of trees sways behind him, but it is the open sky and what is to come that takes precedence. To delve into harmony is the breath of life. From the earth comes all things. “Hope Springs” is the last piece on the album. A synthesizer greets us and is soon joined by the Ellis fusion bansuri creating an ethereal piece that leaves you floating above the ground. Hovering. Waiting. Listening. This is life. A journey of beginnings and culminations. Never ending, this cycle gives and takes. Life and death. Each textured melody twists a strain of hope that meanders in the life blood of the human spirit and lends the spark of renewal. 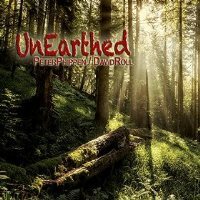 Peter Phippen and David Roll have crafted a magnificent album with Unearthed. Different styles meld into an album with distinct tracks, echoing with melodies and compositions to stir the introspective elements of your soul. With many unique instruments from around the world, this album is textured and well formed. It is highly recommended if you want a breath of fresh air from the frenzied pace of everyday life. I’ve found myself playing it over and over again and the album just resonates. Phippen and Roll are true artists and no collection of flute music is complete without this album.